This past month has been pretty eventful with many different things going on. 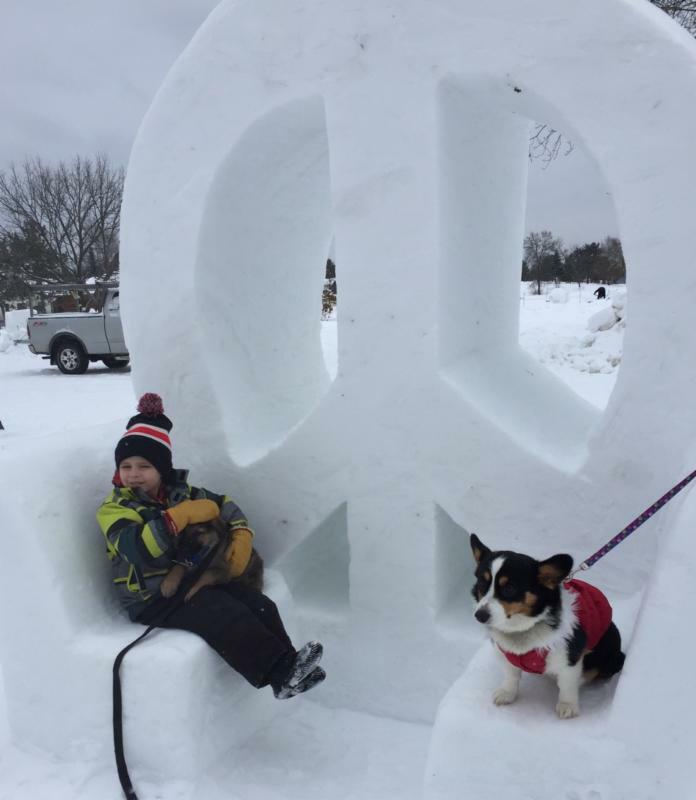 The unusually warm weather for this time of year made walking around the Snow Sculpture Symposium enjoyable. It did however cause the sculptures to deteriorate a little faster but all in all it was great to see so many people out and about. Ely also hosted the 3rd annual Great Nordic Beard Fest this past month. Like last year it was a huge success and a tremendous turnout both by participants and spectators. If you’re thinking about making the trip up and entering in the competition next year you might want to think about starting to grow out that beard now! The competition is getting pretty fierce. The Cabin 6 project is well on its way. Demo is completed and the new space has been laid out and ready for framing. Now we just need John’s other projects to slow down and we can keep moving forward. Spring will be here before we know it. Look out for renovation pictures on our Facebook page. The Tinley Park show went very well. Kerry and Taylor made the trip down this year. He was able to connect with some of you and catch up on what has been going on over the last few months. We will be heading down to Elmwood, IL in a couple days for our next sport show. This will be our first year at this show, we hope to see some of you there. Ice conditions haven’t been the greatest but there are still a great many of lakes with fishable ice. Burntside, Snowbank and Basswood are the three most productive lakes for lake trout in the area.